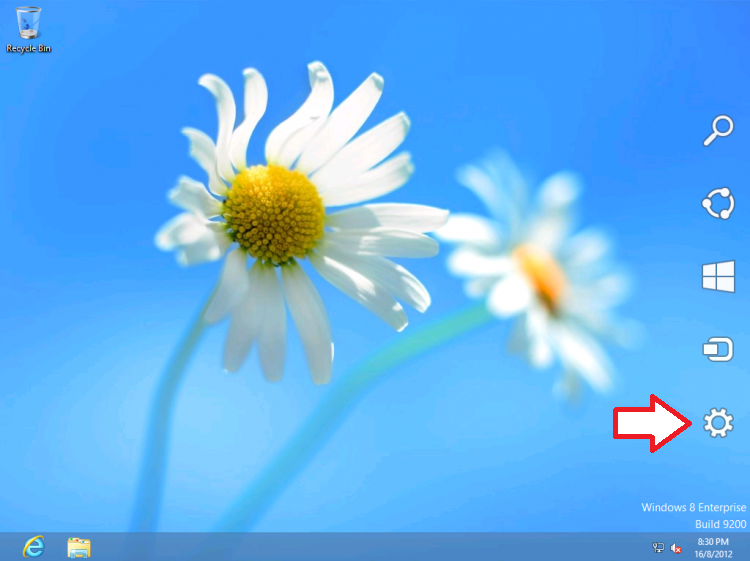 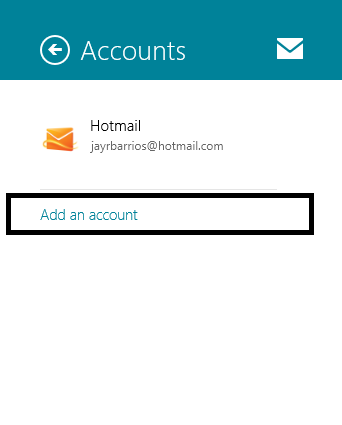 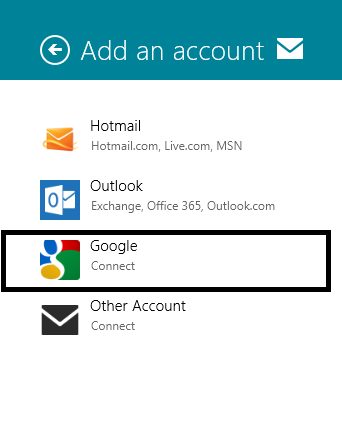 Here a simple walk through on how to add your gmail account in Windows 8 Mail App. 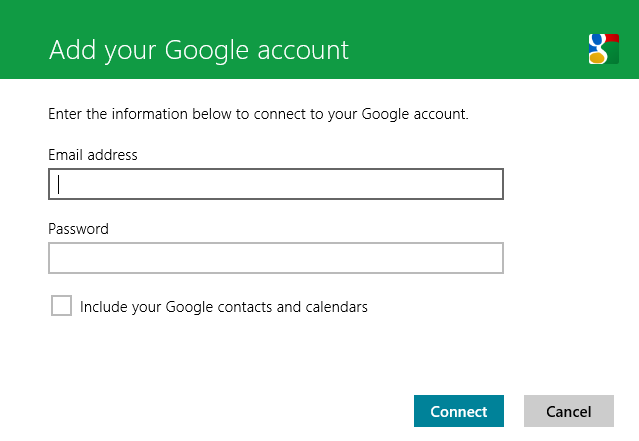 Enter your Google account credentials and click connect then you’re done. 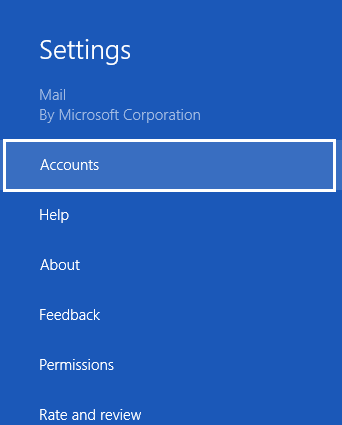 You may add other accounts by following same steps.